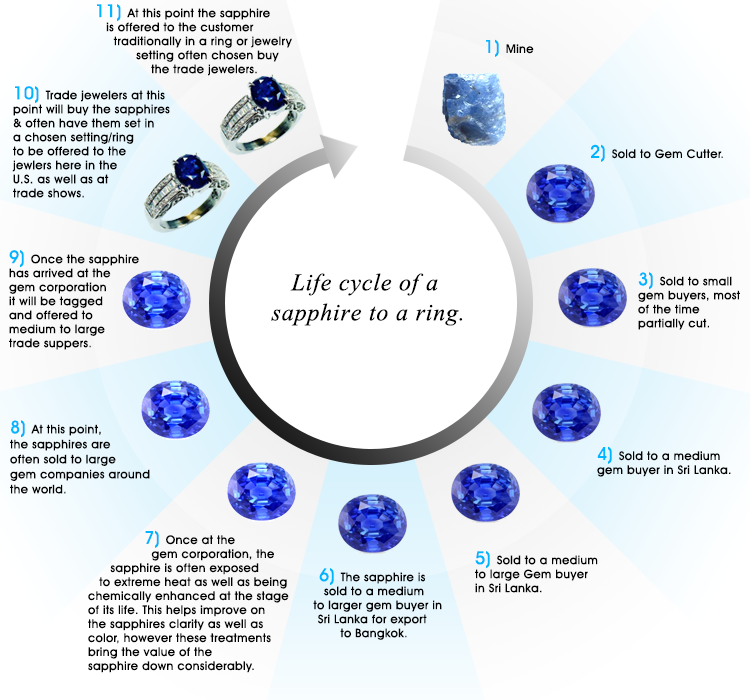 This diagram explains the process of a sapphire to ring "At Sapphire Ring Co". 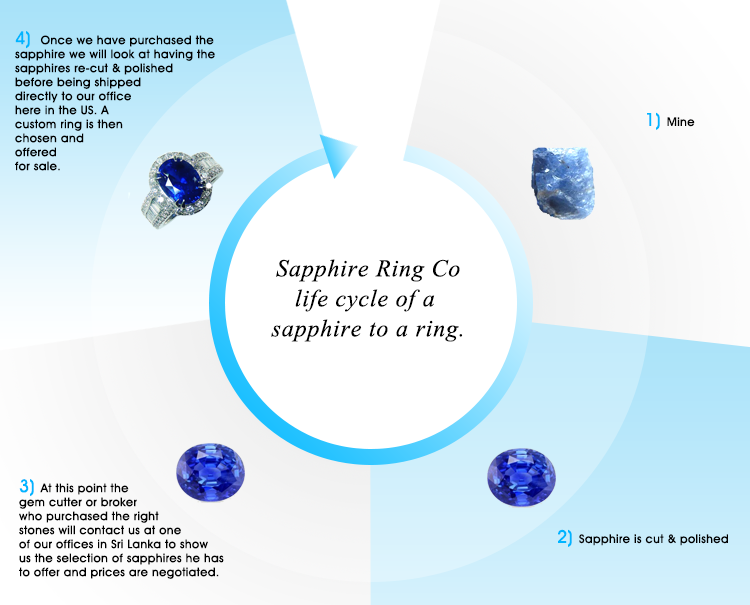 This diagram explains the process of a sapphire from the mine to the ring for jeweler's resulting in much higher priced sapphire rings & sapphire jewelry. This is not only a life cycle of both sapphires but is the life cycle of almost all gem stones. Today, Thailand is responsible for the supply and trade of 80% of the worlds supply of gemstones. Like London and Antwerp, who have become famous for diamonds, Thailand has become the main trade port for all colored gem stones. 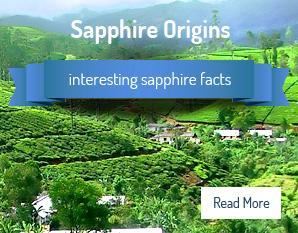 Please read or page on Thailand and the role they play in both the sapphire and ruby industry.